Owned and operated by Clyde and Patricia Colwell, Carolina Heritage is the first USDA-certified organic vineyard and winery in North Carolina. Ten acres of organic grapes, blueberries and apples are used along with honey from their bees to produce award-winning estate wines. Open Saturdays, Sundays and Mondays from 1-6PM and at other times by appointment ((336) 366-3301). Come listen or join in with regular Saturday music and monthly old time bluegrass jam sessions. A wonderful way to relax! 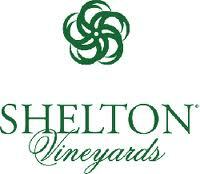 For news of Carolina Heritage events and wines, join us on Facebook or visit us at carolinaheritagevineyards.com. The site of a historic grist mill built in 1896, and gracing a special spot where two creeks join together to become one, Elkin Creek Vineyard is a one-of-a-kind destination. Located one hour north of Charlotte, NC and only twenty minutes from the Virginia border, it is a hidden gem in the heart of the Yadkin Valley. Guests can experience wine tastings in a warm and inviting tasting room, enjoy wine selections as they stroll by a gentle waterfall, or sit in a creek-side swing by the fire pit. Lite fare is available such as an antipasta plate, homemade artisian bread, or our special Sunday treat of hand-made-to-order pizzas baked in an authentic wood-fire brick oven. The property includes four private cabins with luxury amenities. Elkin Creek Vineyard is also available to host your wedding or special event. Herrera Vineyards is family owned and operated, nestled quietly in the small town of Dobson, NC in the foothills of the Blue Ridge Mountains. With more than 140 acres of property, our estate offers a little of everything. Sprawling vineyards, rolling rivers, immaculate tasting room and a pristine landscaped façade provide the ultimate relaxation experience. Herrera Vineyards prides itself on the tradition of cultivating, harvesting and producing premium wines from fruit grown exclusively on Herrera properties. With a wide variety of dry, semi sweets and sweets, we provide award winners that cater to every wine connoisseur’s preferences. Influenced by culture and heritage, Herrera Vineyards introduced the first bottled Red Sangria from the Yadkin Valley in 2012 with much acclaim. 2013 will bring forward new selections from this specialty line as we continue to develop our signature Sangria in both red and white varieties. It is our pleasure to invite you to join us for tastings, tours and tradition. We await your arrival at our home away from home. 964 Old Railroad Grade Rd. Located on nearly thirty acres in the foothills of the Blue Ridge Mountains — deep in the heart of the Yadkin Valley of North Carolina — lies McRitchie Winery & Ciderworks. We are a family owned and operated winery and vineyard specializing in small lots of award-winning artisan wines and hard ciders. 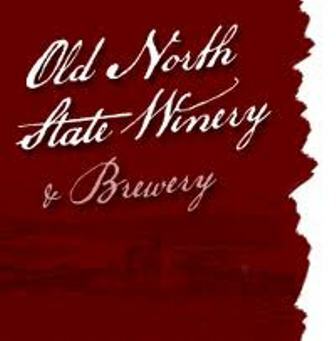 Old North State Winery, Inc. Enjoy Chianti in the Carolinas at our Tuscan-Villa Style Tasting Room or host an event or meeting of your own! Tastings, tours and events are held year-round. Owned by lifelong farmer/owner, Frank Hobson and his wife, Lenna, Ragapple Lassie Vineyards is the namesake of Frank’s Championship 4-H Show Calf, and produces twelve award winning wines worthy of its championship legacy. Open daily noon to six. It’s an awesome experience. Come see for yourself! 1-866-RagApple or www.ragapplelassie.com. Not your typical Winery, a “slightly” different Yadkin Valley Winery, offering wine from local juices, as well as, wine from some of the best wine regions around the world. We offer a large selection of fruit wines for the sweet wine lovers along with Dry and Semi-dry Reds and Whites for the dry wine lovers. Fine wines without the attitude We have a fine selection of dry white and red wines, as well as a series of beautifully crafted low alcohol sweet wines. Making the wines in small quantities and having a full range of sweet wines sets the Weathervane Winery apart from most others. The warm greeting and non pretentious attitude of the owners and staff will make any visitor feel quite at home.